“Poles Saving Jews During the German Occupation, 1939-1945” will be on view weekdays at the New Hampshire State Library in Concord from Jan. 14-25. CONCORD – The international exhibit “Poles Saving Jews During the German Occupation, 1939-1945” will be on view weekdays at the New Hampshire State Library in Concord from Jan. 14-25. 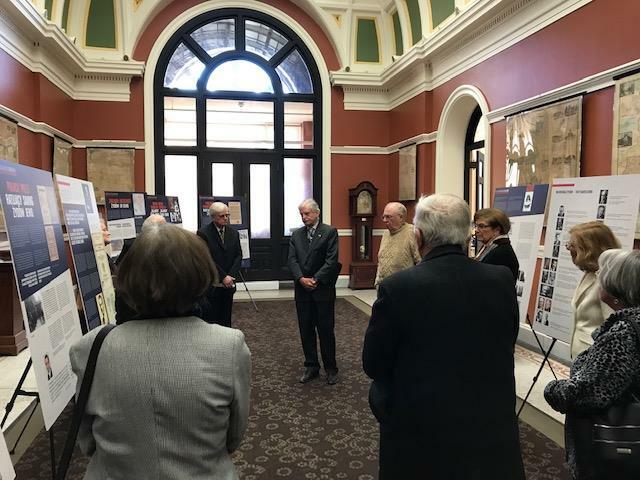 Professor Emeritus C. Paul Vincent, Ph.D. from Keene State College’s Holocaust and Genocide Studies program spoke at the exhibit on Monday and Marek Lesniewski-Lass, honorary consul for the Republic of Poland in northern New England, was also scheduled to speak.